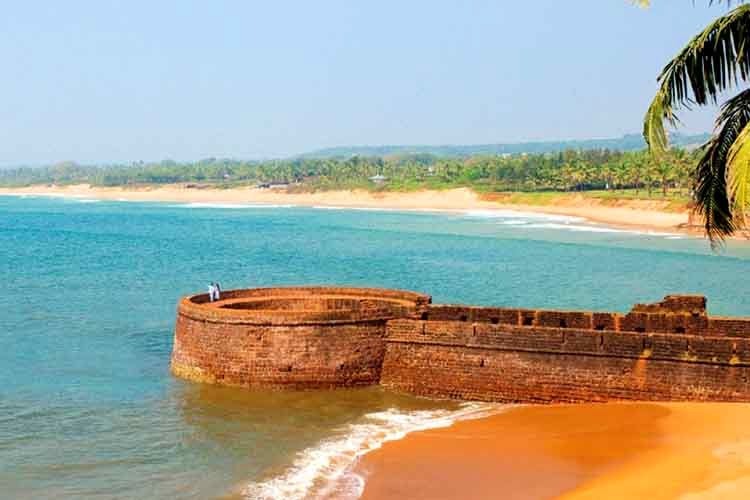 On the Fort Aguada Road lies a restaurant that has a super-basic ambience but serves authentic Goan food. If you love food and don’t want any of that fancy stuff, you need to go here. Non-fussy foodies and budget travellers will like this place a lot. Recommended to me by a Goan friend, this place is easy on your wallet. You’ll have a full tummy in under INR 500. The alcohol is dirt cheap, too. It’s a simple and small place that has a canteen-ish vibe to it with its red plastic tables and chairs. The crowd is mainly faithful foodies and regulars. Matches are regularly screened here and the crowd is so friendly that you make friends with everyone easily. Try the Bombay duck fry, the Chonak Curry, Goan chilly chicken, prawn Xacuti as well as squid Xacuti. But you can avoid the squid as sometimes it’s not prepared that well. There was a match on when I visited and it was buzzing with fans of the teams cheering and booing each other, which made the visit even more eventful. It’s small and not fancy at all, so don’t expect any silver cutlery. It’s for those who want authentic Goan food and alcohol from a good and cheap place. A definite thumbs up from my end.